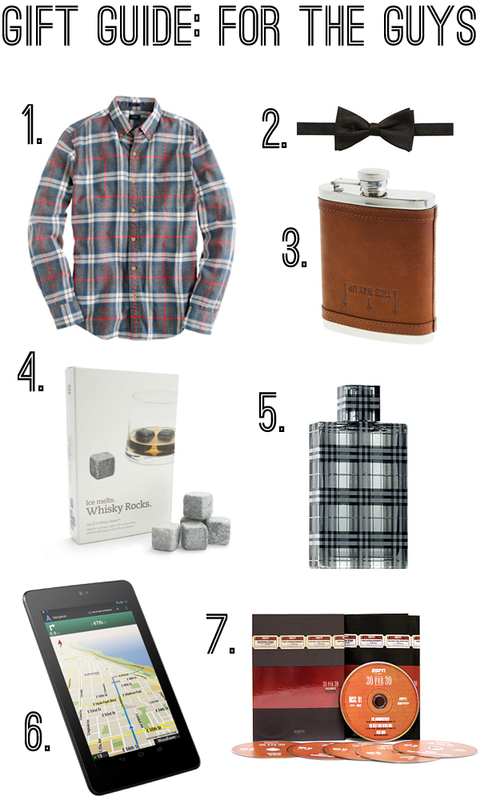 Now that it's the day after Thanksgiving, I can post my holiday gift guides! :) I created a few, so I'll share them all in the next few weeks leading up to Christmas. This gift guide for the guys is Luke approved - so he can expect to see a few of these gifts under the tree with his name on them! Burberry ANYTHING is awesome. My guy has a bottle of Burberry and I LOVE it. Ha! What are the odds that we would pick the exact same shirt for our gift guides?! Clearly we have good taste.